Sold by Authorspress (4.1 out of 5 stars | 41 ratings). Lopamudra Banerjee is a writer, poet, editor and translator, currently based in Dallas, USA. She is the co-editor of Defiant Dreams: Tales of Everyday Divas, published by Readomania in collaboration with Incredible Women of India. She is currently the Editor of Learning and Creativity e-mag and Blue Pencil editorial services. 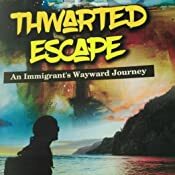 Thwarted Escape, her debut narrative nonfiction work, has received Honorable Mention at the Los Angeles Book Festival 2017, and the book manuscript been First Place Category Winner at the Journey Awards 2014 hosted by Chanticleer Reviews and Media LLC, USA. Her literary works have appeared at numerous literary journals and anthologies, both in India and the US. She has received the Reuel International Award 2016 for her English translation of Rabindranath Tagore's novella Nastanirh (The Broken Home) instituted by The Significant League, a renowned literature group in Facebook. How far can one truly go away from his/her ancestral roots, filial ties and the claustrophobic grip of traditions and the reminiscence of an emotionally fraught childhood and puberty? Thwarted Escape, the award-winning memoir/nonfiction book begins with this particular quest, and it is this quest which gains momentum as a woman seeks the essence of herself-identity ten thousand miles away from her Bengali hometown. With the lens of a time-traveller, her narrative journey encompasses her first sexual abuse, her first tryst with death, austerity, the strangeness of rituals, the inexplicable feelings of puberty and also her surrendering to love, procreation, motherhood. In her self-chosen exile in the US, she discovers that deep within; her ancestral roots a real soothe well spring of her psychological, spiritual existence. In the process, she keeps on oscillating between assimilating and disintegrating, which forms the core of her journey. 5.0 out of 5 starsA brilliant book, a masterpiece, poetry! Mere declaring this book to be a memoir won't do any justice with this book as it goes beyond that. The author has wonderful observation skills and the way she has presented even the tiniest moments of her life is quite noteworthy. The author has an excellent command on English language with which she has scripted every line in a poetic form and that is the true essence of this book. Upon reading you will find the scenes from her life appearing on the television screen of your mind and you will find yourself living those moments, feeling every bit of emotion that surfaces with the turning of pages. This book is one of those rare gems which will linger in your memory for a considerable amount of time. How many can claim to have conquest love and not otherwise? Lopa Mukherjee has, through her book by living that example of a life we aspire to have but do not venture into jumping over its gates for comforts of our couch suits us better. The book is not just of memoir of her childhood,womanhood and motherhood but a real contemplation of the many hoods we wear and are surrounded by in our society. According to me, Poets can ink even with a thorn of a cactus and tip of a shrub. And here, we have a extremely talented combo of a poet writer who weaves her journey tiptoeing to every crevices of her life filling it her poetic verses oscillating to the past while holding on to the present very beautifully. This book is a escape to the finest wonderland of words travelling through the shrewd threads of our beliefs,bellowing to the stingy minds, walking to the green pastures of nature, the bylanes of Kolkata to the porch of Nebraska all woven with a lyrical play of the tanpura!!! 5.0 out of 5 starsWhen the life becomes lucid prose worth reading. "A regular life led over three decades is not worth inspiring to be imprinted in the pages of a book, yes or no? The answer is yes, if the person writing the experiences is talented enough to write and has the impulse to question his or her being, has the empathy towards the subtle nuances of life and at the same time is sensitive towards the challenges life throws at the self. This autobiographical sojourn is a compelling read. The prose is poetic but the circumstances are not. Yet the words paints a beautiful imagination in the mind of the reader. Part travellougue, part rebellious, part escapist and part acceptance are the chapters in this memoir. A cluster of life events which runs backwards in the mind of the author and forward in the pages of the book as a memory building and acceptance of the routine that life goes on. 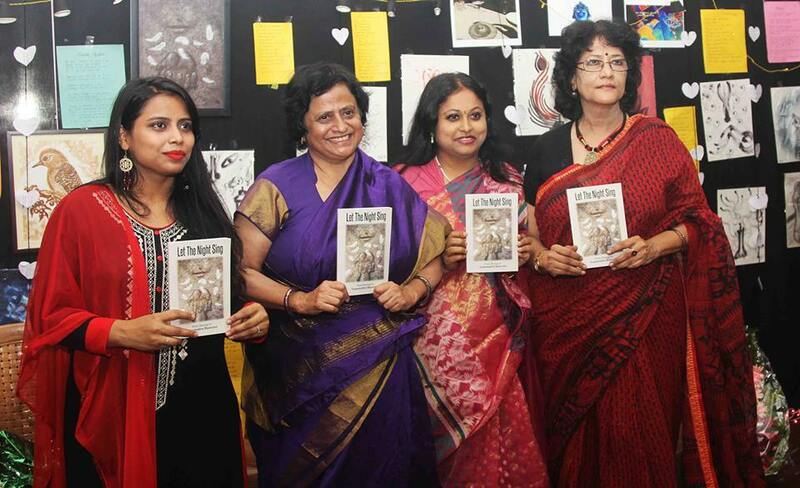 Lopamudra Banerjee's Thwarted Escape is compelling read. You cant escape life, the escape is thwarted by reality whenever the thought of an escape sets in. Hope to have more compelling reads from the author." 5.0 out of 5 starsSome words for Lopa Banerjee's "Thwarted Escape......."
Its a wonder that I've gone through the 3/4th part of the book , not finished it .....! yet could not help myself from a short review.! From the very first chapter itself Lopa attracted me with a magnetic pull...... . Her deep-seated feelings for every mundane objects & subjects is something unusual to be found with the authors aplenty of the present time . If women in their total entirety and so-professed "Woman's Lib. ' is to be taken into a/c. , Lopa undoubtedly is a prophet , so far as I think..... Her memories of childhood , her birth-time agonies of her mother , her strong zeal to survive in bottled milk , in a conservative , sometimes regressive beliefs of her ancestral family & people , her tryst with an ugly effort of molestation at an unassuming stage of life......all & all are depicted and knitted so well that one really forgets oneself and gets carried away with the tide for those given moments. Her magical power of thought , feelings , observation and over & above her expressive powers to narrate , add a continuous electric flow in her book . I will request all the book-lovers and sincere readers to avail it and tell them to rest assured that their investment is worth , profitable and nourishing . 5.0 out of 5 starsAnswers begin to reveal themselves if asked from the core. 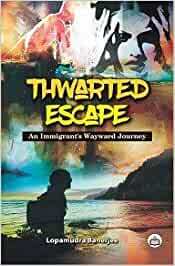 Thwarted Escape--a woman's journey to unravel through her various layers of her own self. Relished it thoroughly. The poetic expressions, telling of a 'life', make for a fantastic word-weave. One can feel the sense of longing, and desire to unravel beneath the surface through the expressions written, and the spaces within. Lopa manages to weave words for feelings where moments feel bland and without soul. She looks at the dry, tearless eyes of her cousin at her mother's death and tells that her mother was a just a wet-nurse to the cousin. My best take from the book was the passage describing the sadness lived by the loved ones when a mother dies. A motherless daughter, grips the heart. A fine book of words lived and loved. Weaving every thought and every emotion with the magic of her words....the book is like the course of a river flowing smoothly....unabatedly ! The book unfolds like a beautiful lotus in a pond.....and continues to revel in the glory of sunshine ! From the much revered Goddesses in India....along with the legendary feminine Epic characters.....and her own ever introspecting mortal self....from childhood to womanhood...to motherhood....the book is a journey of feminity....the inward and external journey.....over the mountains and seas that life carries us through. Holding on steadfast and never losing ground.....thoughts and emotions unfold....in the most beautiful word patterns. If I had ventured marking some beautiful sentences...probably the whole book would have been highlighted ! With her mysteriously curious mind......the yearning for the horizon continues.....This is just a beginning and theres going to be lots more in store.....The Goddess to whom she prays on the festival of Spring....is omnipresent within her !